Not all taxi services offers quality service to their customers. Have you ever been stuck with a hellish taxi driver? Rating and reviewing taxicabs is the best way to keep these businesses in check. TaxiTally for iPhone lets you access taxi listings in 20+ cities in the U.S. and rate the services you have used in the past. TaxiTally has a simple interface. It shows you taxi services by name. The listings are sortable by rating. 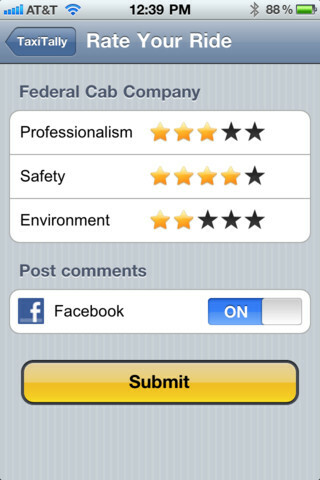 Users get the chance to rate the cab companies they use. Businesses can be rated by professionalism, safety, and environment. 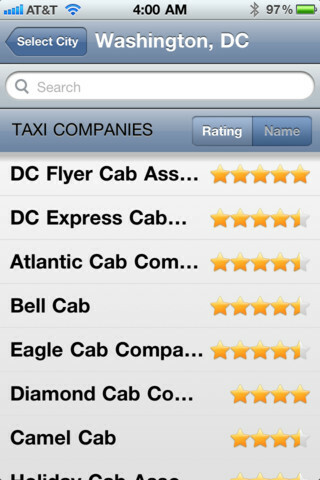 The ratings and reporting features are especially useful if you have just had a terrible experience with a cab business in your area. Violations are reported to local authorities. TaxiTally is a handy tool for anyone who has to deal with cab companies on a regular basis. Not only you can use it to praise great businesses, you can also report lousy companies. Users get to share their ride reviews on Facebook. A nice tool to have to identify terrible taxi businesses.